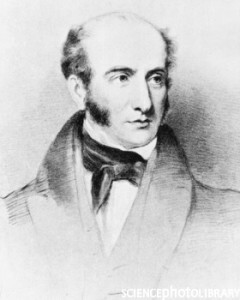 Robert Liston (1794-1847) was a pioneering Scottish surgeon. He was likely the best surgeon of his day, noted for his skill and his speed in an era prior to anesthetics. He was able to complete operations in a matter of seconds, at a time when speed was essential to reduce pain and improve the odds of survival of a patient. He is said to have been able to perform the removal of a limb in an amputation in roughly 30 seconds. There are stories of occasions when his operations went wrong due to the speed at which he attempted them. The two most notable examples of this were when he amputated a man’s testicles along with his leg by mistake. In another operation where the patient died of infection, he cut off the fingers of his assistant (who also died due to infection) and slashed the coat of a spectator who died of fright. Robert Liston is the only surgeon in known history to have performed an operation with a 300% mortality rate.